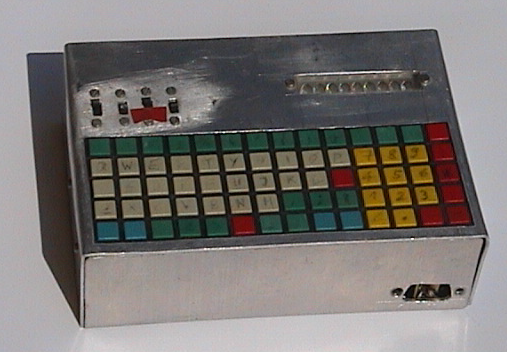 This image shows an early stage home-brew "PDA" device (inspired by the Sharp PC-1211) having a QWERTZ keyboard and a 7-segment display. Alphanumerics had been indicated on the display by (mis-)using the 7 segments. The housing is 2mm aluminium. 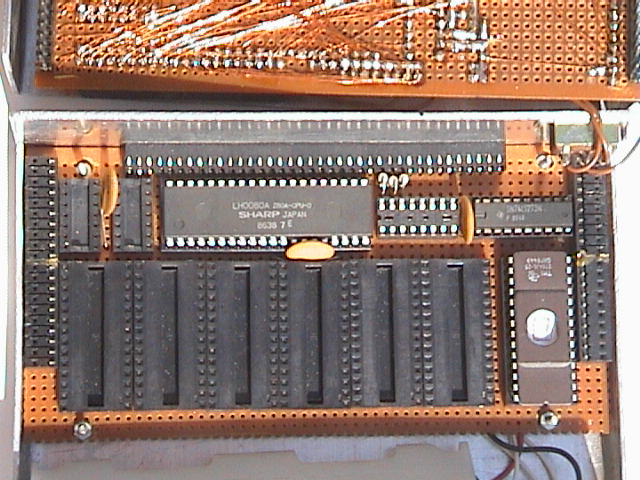 Opening the device reveals three layers of circuit boards. 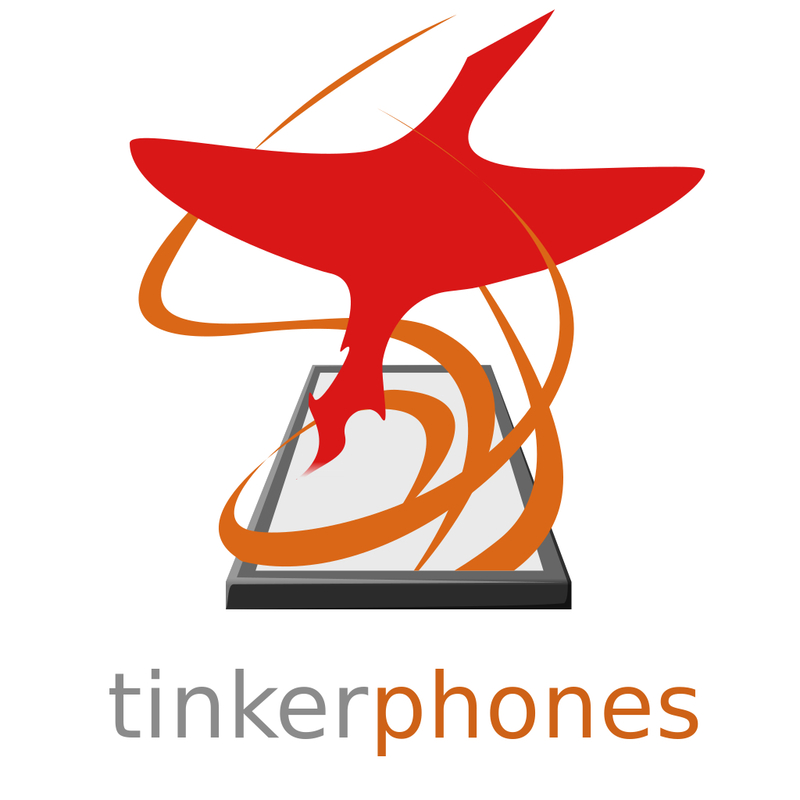 One holds the keyboard and interfaces to the display. The middle one carries a 1MHz quartz crystal and a real time clock circuit. 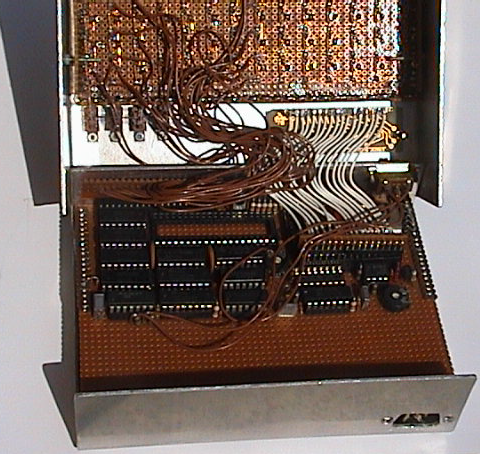 Some ICs have been lost - most notably a Z80PIO for controlling the display and keyboard. 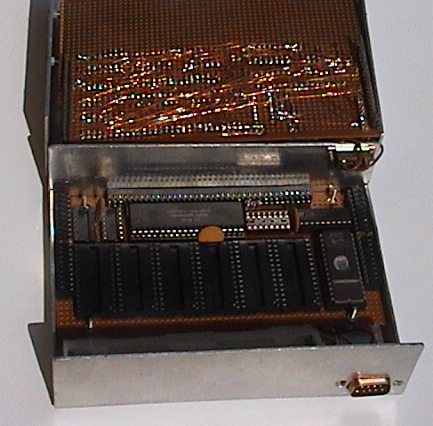 The lower layer carries a Z80CPU and was capable to hold 16kByte of EPROM and 48kByte of RAM (8kByte each chip). The battery was comprised of 4 NiCd AA cells. 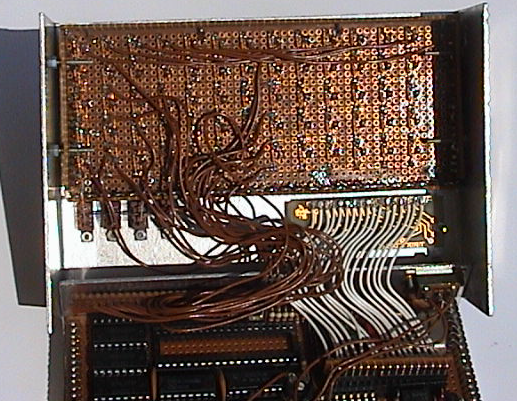 Here, a serial data interface incl. pins for charging the battery was connected to the front-side.